GASTRONOMY by Joy: A "Best Food Forward" Sunday! 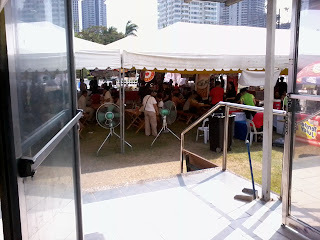 One Sunday, after attending our church service at Lord Jesus Bible Church, in Makati, we headed to NBC Tent of The Fort, GBC. To be honest, I was really excited about this event. The night before that my husband and I were at the Midnight Mercato, to check out what's new and unique in the food market. 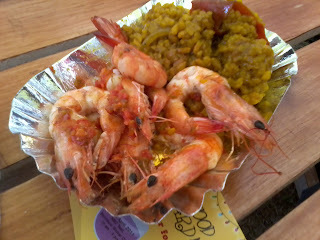 I have been hearing a lot and read a few good reviews about the Mercato, both Midnight Mercato and Mercato Centrale. I'm way too serious about my new found passion, and I am way becoming more daring when it comes to where we are going to eat. I didn't actually buy a lot at the Mercato, since I was really looking forward to the Best Food Forward! event. Good thing I bumped into Tina Raines' Multilpy account when I was looking for something gourmet to bring to my friend's bridal shower. Tina Raines bakes and sells sumptuous gourmet pies and frozen dessert pies at Tina's Pies Outlet. She was one of the concessionaires of the event. And of course, hers was the booth that I first visited and she was the one I first talked to about the event. 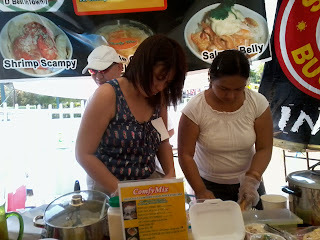 Well, when I got to her booth she only have a few pies left and it is only 12:30 in the afternoon. So I bet the event really was successful in her view, in mine and in all of the participants. This is where we had our lunch, al fresco dining. Though it was so hot outside we still head on, just seeing those barbecue smoke and sensing the awesome aroma of all the food around, it was just irresistible! Comfy Mix preparing my kids orders, pasta. This is my lunch Gambas and Paella. 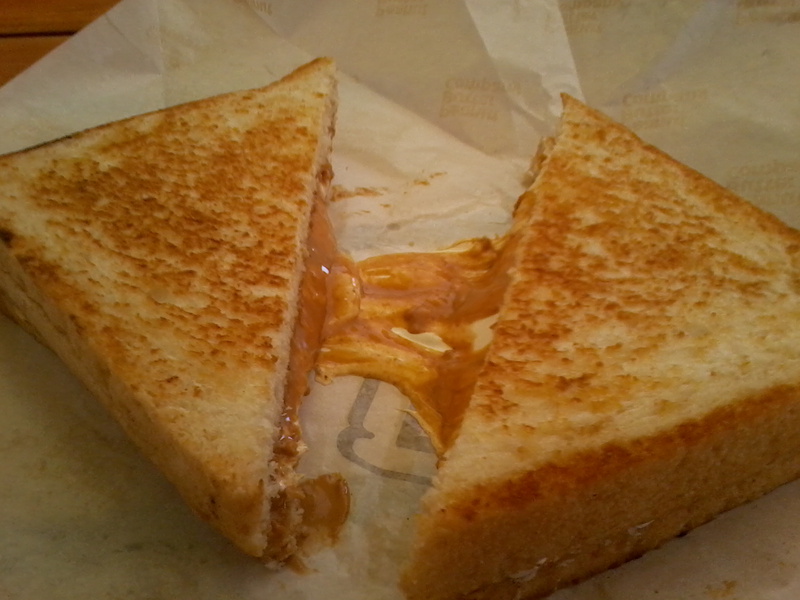 For our first dessert of the hour, PB Co.'s Marshmallow Peanut Butter Sandwich, Toasted Sandwich with their own peanut butter and marshmallow cream. They also had an array of sample for all their different flavored peanut butter. 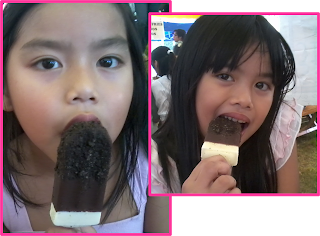 My daughters, enjoying their Picole Ice Pops. They had Cookie Overload and Choco Banana. We even met a Picole dealer, Ms. Michelle Chan, who sells the ice pops at a very affordable costs. They have 25 flavors for customers to indulge on, from fruity to yogurt and fave desserts. You can invite her to your company parties, birthday parties and other occasions. Great for summer! 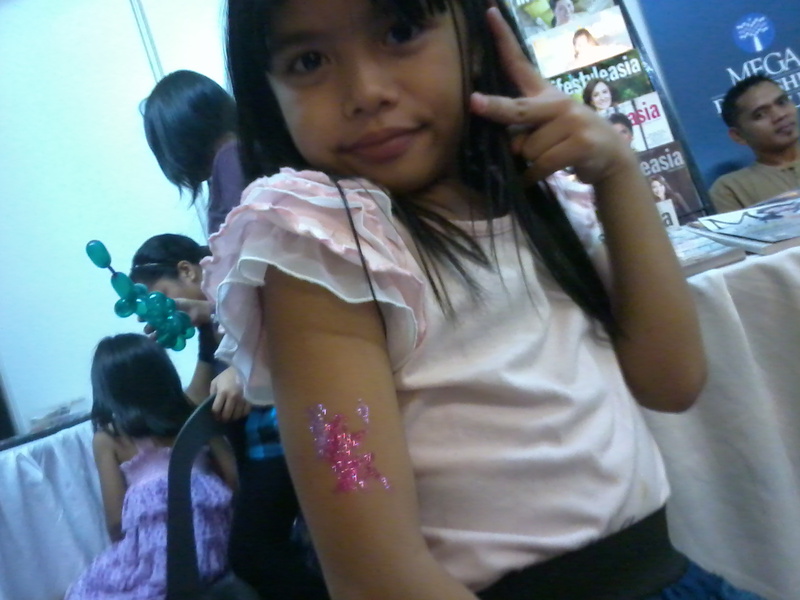 Call her at 9750724 or 09175393369, or e-mail her at Picole.IcePops@gmail.com . To highlight the event, there are shows that feature certain products where chefs show-off their food innovations and skills. More pictures on the event and the goods, just click on the picture below. 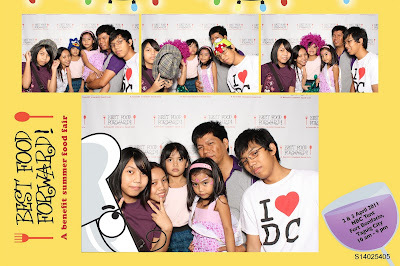 The picture above was taken at Liqueur Bonbons booth. 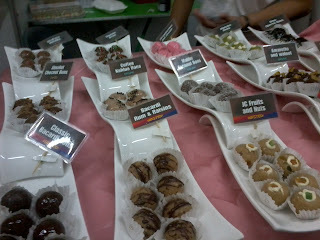 And Miss Joana Lim gladly assisted us in experiencing chocolate madness up a notch. Check out Liqueur Bonbons at FB. This was a more than wonderful experience not only to me but my whole family as well. The event was not only for food lovers but also for everyone who loves fun, creative arts and socializing, even kids were treated astoundingly. Let me give you more reasons why Best Food Forward was worth remembering and blogging. 1. We all had fun sampling different kinds of foods. 2. My kids being the best critique of their mom's cooking and baking (that's me) had the time to check out other's cooking and baking at stovepipe. 3. My kids came to love my "job" (well my husband calls it hobby), though they made qualms about being tired and stomach full. 4. 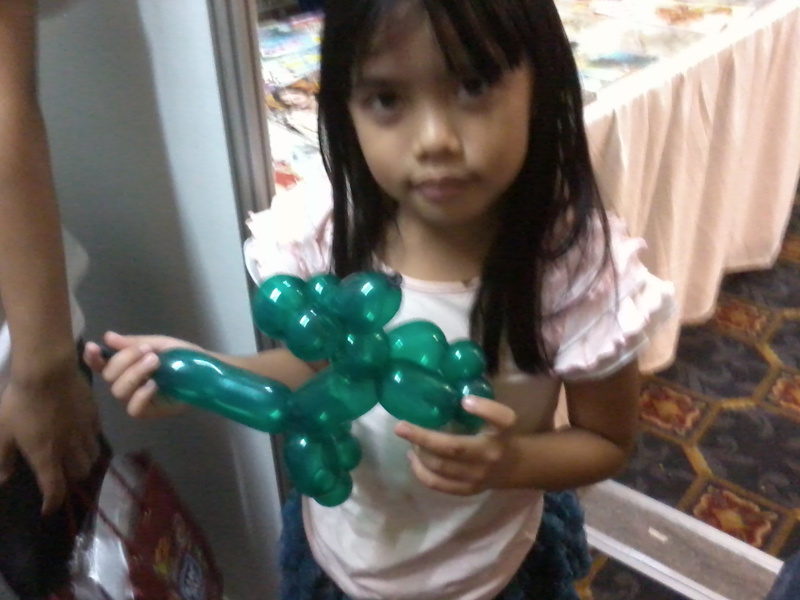 When my two little kids, Dana and Danica, had their share of the samples inside they were able to play at the big inflatable playground, while me and my two other older kids had fun time roaming around and interviewing participants with their products. Thanks to Big Red Barn for this! 5. 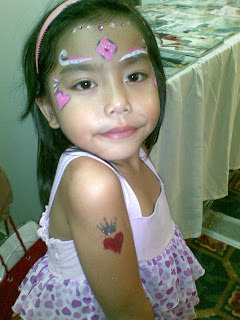 Aside from the inflatable playgrounds, they also had their face painted, and glitter tattoos. 6. There are also clowns, balloon artists and mascots cheering the kids up. 7. For every ticket paid, it entitles to 1 photo booth experience, sponsored by Baicapture. 8. There are also other crafts such as T-shirt and accessories-painting. 9. Freebies, discounts and interesting prizes for the raffle. 10. Lastly, I was interviewed by ABC TV 5, and as I've heard it was televised. To tell you frankly, there are more other reasons, but for now these are just some of what I could remember. To sum it up, the organizers of the event had put a bench mark on what a foodie event should be! Fun, family-oriented, comfort and value-for money. It only shows that we Filipinos are setting standards not only to boost our economy but more so to set our mark in the global food industry! Kudos to Best Food Forward, the event, the people behind it and the participants who passionately shared their products and to us who revel eating! LOVE, love the event, wE wERE There. tNX For iNOrmINg US about IT.